Discussion in 'Real Estate' started by John R, Dec 8, 2006. In an effort not to trample Mr. Wise's book thread any longer, here is a new thread specifically for discussion about Redfish Village and their beach access. So, BMBV, how did it go last night? Anything get ironed out? I stopped reading the book thread after the book signing. 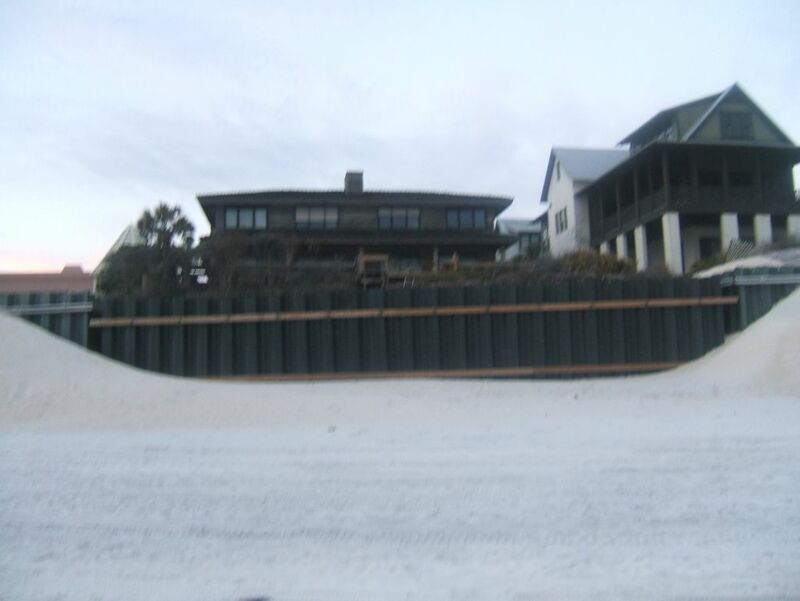 Are you telling me that there has been discussion regarding Redfish Village Beach Access on that thread? What meeting are you talking about? Did I miss something? :idontno:. Off to the book thread. Did the meeting take place? If so does anyone know the outcome? I was there. it seemed very subdued until someone named Albert raised the ire of Mr Zeitlin with questions that seemed like Albert already knew the answers to, and Mr. Zeitlin knew were coming. Parking on Blue Mountain Rd seems to be an issue, as well as containment of all owners on the property, which everyone except the developers, admits won't happen. There's more, but I'm sure those to be affected can give more detail. John R...why don't you tell all of us how it went. I heard you were there. John R...has Redfish Village violated the Florida Statues listed below? 1. 475.25(1)(c). False, deceptive, or misleading advertising. Administrative fine of $1,000 to a 1-year suspension. 2. 475.421. Publication of false or misleading information; promotion of sales, leases, and rentals. Administrative fine of $1,000 to a 1-year suspension. I ask you this specifically because I heard you spoke positively about this developmentand and thought it was an appropriate development and that Redfish Village was being fair in their approach. BMBWALKER, I don't think your questions will be answered until a decision has been reached regarding the dedicated beach access. ok, i'll bite. this may get long. regarding the statutes, i won't waste my time reading them since you already must have, and for some reason don't care to cite pertainent data, and i could care less if they've broken them. i'm sure they relate to some arcane real estate rules, and i guess the suspension relates to the brokers license. ho hum... but, in the sprit of fun, baiting discussion, i'll play devil's advocate. their extemely annoyingly slow, flash based site indicates that they will provide: BEACHWALK. 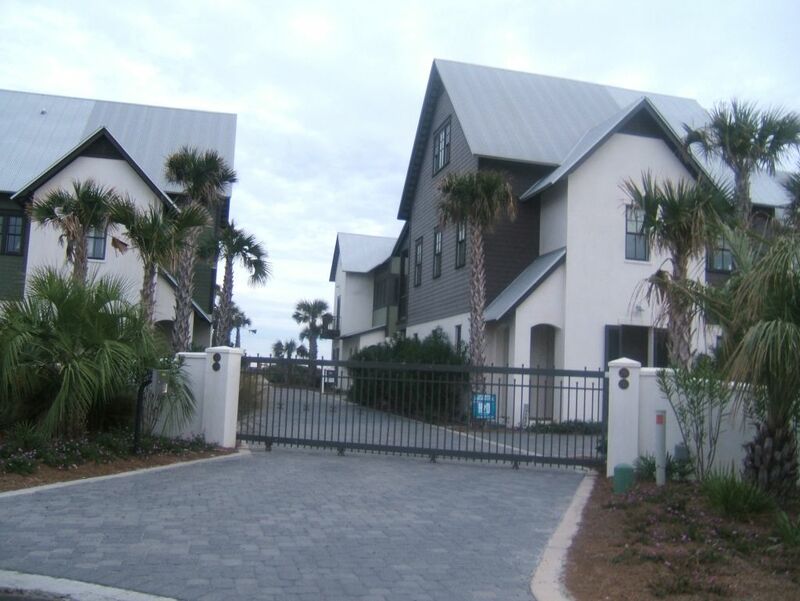 An owners-only, private gateway and vista to the white sand beaches of the Gulf of Mexico is just a short stroll away. based only on what i heard, since i was in the same room as those you apparently have spoken to, they(redfish) can provide the above twice, since they own two pieces of property with direct beach access. they could, if they like, erect a fence, with a coded gate, build a single width boardwalk to the beach, and call it good. seems like the least impactful to me, but i'm sure some beachfront owner would find something wrong with that scenario. i actually like this idea. what they plan to do, is erect a contination of the redfish "experience" (steve seems locked in on this word)on their property, and construct what some architect somewhere thinks is asthetically pleasing, and hopes to get himself published with. that includes, as you know, a bike parking area, a vehicular turnaround for their delivery vehicle(i think), seperate male and female bathroom/bathhouse, and what steve states will be a single width boardwalk to the sand. i believe he also indicated that they would install tall(hopefully native) vegetation along the property lines to lessen visual impact to the adjacent neighbors. 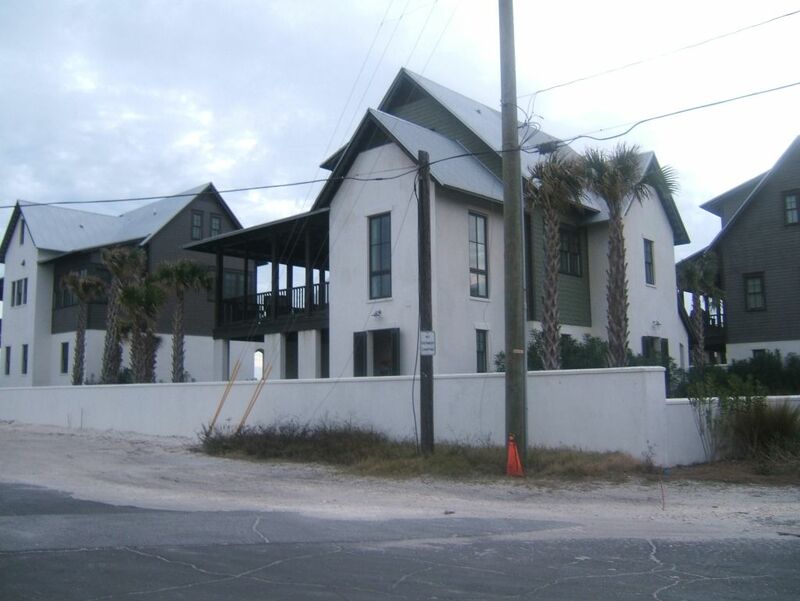 physically, looked quite pleasing, appeared to be low impact on the property(taken by itself) and as mentioned above, a continuation of what the developer is delivering north of 30a. ok, back. additionally, what was discussed, was the concerns of the homeowners that the entire population at 100% occupancy could be funneled through the property to the sand, and that the property could not contain all those people. as i mentioned above in another post, we all realize that will happen, and i believe i mentioned that in the meeting. the developer really never seemed to directly answer that issue. at some point mr. zeitlin mentioned that people could walk down all the south connecting streets toward the beach, and they were offering to mitigate that by running the shuttle(s). i never got the logisitics of how this will be performed, especially the return requests. there was a lady owner who lives across the street and a couple of houses down(west) who was concerned about people parking on the street. a legitimate concern that was never directly addressed either, imo. the man albert made some statements regarding a stop work order on the 1st property, and what he felt were some dirty dealings, but i am unqualified to discuss that. i stated that people will disperse all over the beach, and asked did the developer offer the county the money to be spent on their private lot, towards the public beach access for the inevitable increased use, and build new, or improve the existing bathhouse, access, etc. he stated that they had made that offer, and that all the county would accept was $50,000 toward improvements of the parking area. i believe it would cost less to have an employee with a radio at the public access, than maintan their proposed improved lot, but that is now moot. there was some other discussion that i can't recall, and the developers lawyer and engineering firm(i think) were referenced for clarification a couple of times. some man made a big deal of receiving a copy of the minutes(that was a annoying exchange). it appered that this meeting hosted by the developer, was just an open door for the neighbors to rehash what they've already discussed and throw barbs toward him, since no one really offered a working alternative. i can't believe i wasted so much time on this since i was in the same room as your (i think)friends, none of which have the balls to comment to date, when i was hoping to hear the neighbors state if they got any issues answered. i thought i had no stake in this issue, but another board member clarified it for me. he posed the scenario of an owls head type community buying up 4,5,6,7 lots and bringing down their population of 1200 homes and what would happen then. so, this is kind of a prescident(sp?) setting issue. either way, i can envision it turning into a bunch of little feifdoms with signs in the sand saying private, where one's neighbors are literally not in my backyard. were you there? if not, in the future, please do not call me out on topics that you do not have first hand knowledge of. please run back to the clique and report, but report accurately thanks. Ok SoWalSteve...since you were there please give us more details. What were the questions asked of Mr. Zeitlin by the man named Albert? :idontno: What were Mr. Zeitlin's answers? We need more details. the scenario of an owls head type community buying up 4,5,6,7 lots and bringing down their population of 1200 homes and what would happen then. so, this is kind of a prescident(sp?) setting issue. either way, i can envision it turning into a bunch of little feifdoms with signs in the sand saying private, where one's neighbors are literally not in my backyard. This idea is very worrisome and should concern everyone who is interested in the public/privtae beach issue, beach access, and property rights. In addition to what they're proposing not being compatible with surrounding uses, it is a bad idea for a private access for 80 units, or 1200. Next thing you know, large inland developments will be buying gulf front lots with hundreds or thousands of private users. Even buying small old condos and knocking them down for their private access clubs if needed. The gulf front lot in question is zoned infill which allows for 8 units. So lets say that is accepeted as an acceptable use. What the developer is proposing is a use with TEN TIMES the impact (80 units). The county should see this easily and deny the request. It shouldn't have gotten this far and is a waste of everyone's time and money. It is my opinion that the Developers prematurely spoke regarding this private beach access issue, and it could cause an escape for every person who has a reservation. That will be exciting for some people, but will be devastating for the lenders and the developers. IMO, their the opponents of this beach access/restrooms need not focus further than NPA-Infill requiring compatability, and this private access for 80 condo units will not be compatable to the surrounding properties, which are single family residences. As for your last paragraph, it isn't so simple because money seems to get in the way of following the law, and the spirit of the law, in this County. 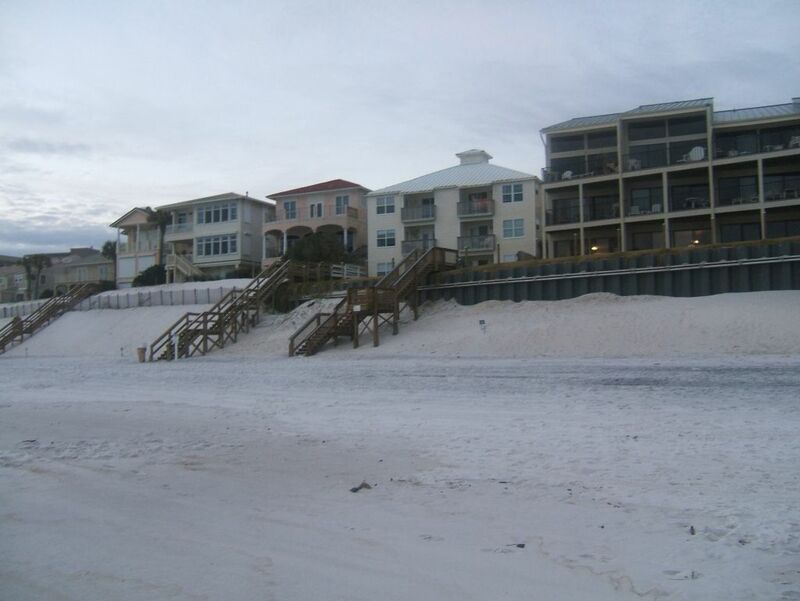 This is the same issue that may come up regarding Nature Walk and its purchase of the Seagrove Villas for a beach access. 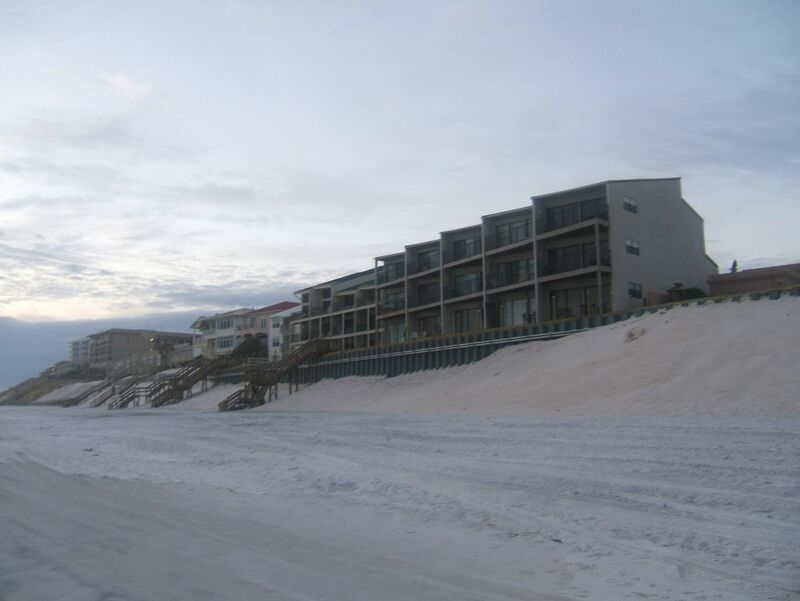 Granted, the zoning may be different and the number of units at Seagrove Villas already using the beach at the location is obviously more than a vacant lot. However, considering the Owl's Head scenario, it does make for future problems. If you are lucky enough to live by the sea, you are lucky enough. Jim45, thanks for bringing this point up. i completely forgot to mention it, and it is quite high on the list of why the neighbors claim the incompatibility. i went down to BMB yesterday, and after i showed my papers, was granted beach access, for 10 minutes. i keed, i keed... i did get some pictures though. i think i have the property in question figured out. So John R is for putting creating access for 80 units in an area of single family homes and small condo units? Wow! John R, you should be ashamed. :funn:Who wouold have ever guessed? I wish I could have heard John R's statements at that meeting. Maybe I can get a copy of the transcript. c'mon, you're killing me here. did you not read my extensive post, written pretty much for your benefit, at your request? honestly, were you there? or are you basing this comment from discussions you've had with your BMB friends who actually were in the room? does my description of what i said differ from what they are telling you i said? and, if so, help me out. i will state my position here for you and all the BMB folk who still haven't commented on this forum. where, oh where, are the people/person, on this board, who was the vocal champion for the BMB SS? i believe anyone can do with their property what hey want, as long as it's legal and within confines of covenants, etc. and doesn't risk bodily harm. obviously, this will eventually work it's way up the judicial ladder and the courts will give the final answer, and you could realize the coveted suspension of whatever in the bargain. as i stated, their plan(for the property) is one plan. i offered another less impactful one above. do i like their plan? who cares? NO ONE in that meeting, or on these pages has offered an alternative. that's what i don't understand. BMB will be getting a bunch of new neighbors soon, and they need to deal with it. proactive has always seemed a better way than reactive. sadly, i can anticipate hearling about some BMB gulffront owner chasing away some family from their precious beach cause they're sitting above the mean high water mark. try explaining that to a six year old. there's a lot of sand there for a few owners. if the above brands me as "feels positively" about redfish village's beach access, then that is my burden. one that i will be toiling over for about 6 seconds, or the next time you hit the enter button. what earlier communication this morning? Since I first found out about the four new developments in BMB on Big Redfish Lake, I have been against all four. The impact will be tremendous. For years, I have stated that Walton County needs more public parking for the beach accesses. On any given day in the season, the 83 access is full. Now, you are going to have two developments sending more people to that location. 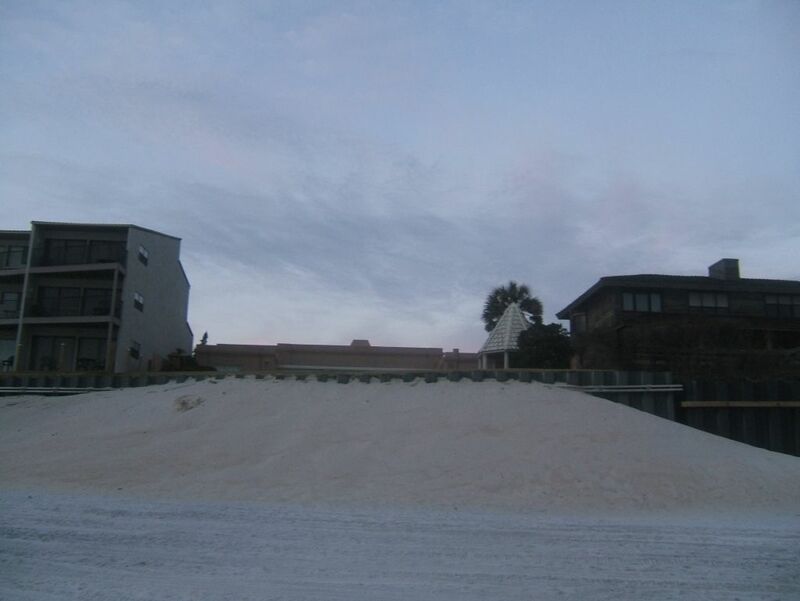 Parking has also been critical at Grayton Beach. The only place with decent parking is the public access between Seaside and WaterColor. Not everyone in SoWal lives within quick walking distance to the beach. The impact the four developments already has, and will have in the future, on Big Redfish Lake is bad, bad, bad. There was a time not too long ago, pre-armour plating of the beach, when I enjoyed the serenity of BMB. Today, I have to climb into my bubble, and put on my dreamy colored glasses in order to enjoy the serenity of that area. When the new developments are built out, forget about it. As someone else pointed out, Walton County is in critical need for parking at public beach accesses. I don't know that it matters whether the developments are close by or in Freeport, some smart and future minded decisions need to be made so that people can enjoy the beach and homeonwers in neighborhoods in close proximity to the beach can enjoy their right to privacy (people not peeing and parking in their yards). Nope - he was neither positive or negative. JR Seemed to be trying to make a suggestion to help out both sides but both sides are not gonna get any closer together on this one. I do not plan on getting into this hornet's nest except to let everyone know that it is my understanding that NO properties located between Big Redfish Lake and the CR83 access own to the water's edge. There is a platted public beach in front of all of them. To the west of CR83 is another issue entirely as most of those deeds read to the water's edge. I don't know if this matters, I just thought it may help in the highlighted section above. I believe a small stretch of the beach, adjacent to, and west of Grande Beach, is also platted as public beach.